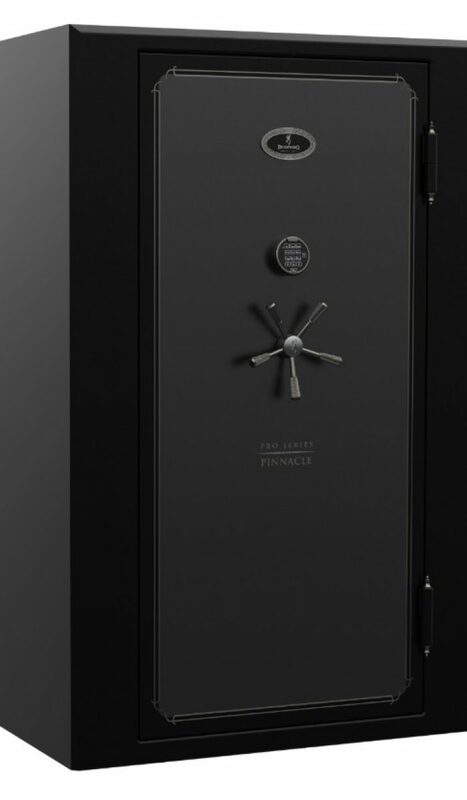 Browning Gun Safes | Pinnacle: Accu-Safes Inc. 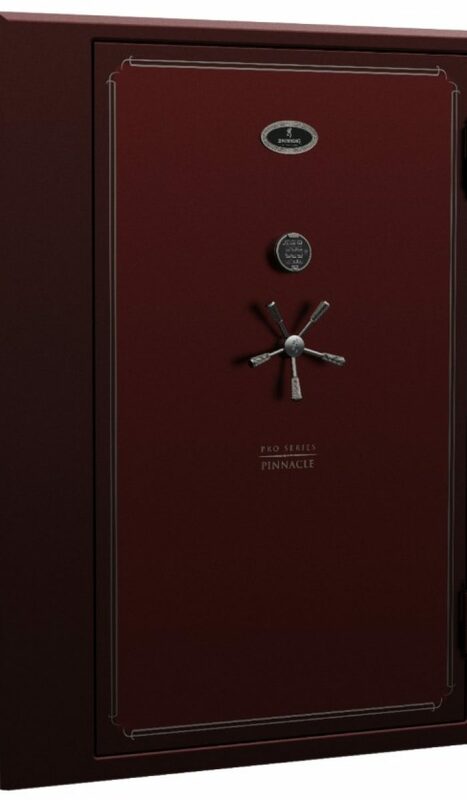 The Pinnacle 49T is the second largest of the Pinnacle line of Pro Series safes. This Tall Wide safe can securely lock away 49 long guns in its interior shelving and on the door rack. Given it's additional height, it easily fits extra long guns, such as large caliber long range rifles. With the adjustable Axis shelving, there are plenty of ways to optimize this space in order to store all of your firearms, documents, jewelry and valuables — and keep them safe from fire, theft, and whatever unknown threats might come your way. 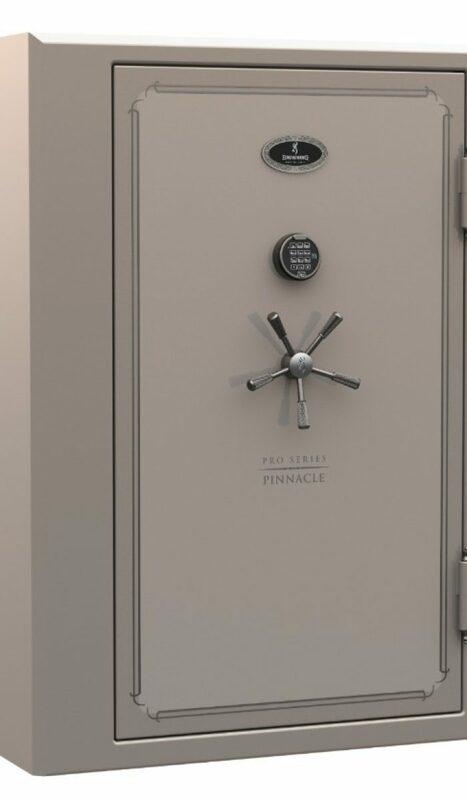 The Pinnacle 65T is the largest of the Pinnacle line of Pro Series safes. It is classified as a Tall Extra Wide safe, with a humongous capacity that can safely store 65 long guns in its interior shelving and door rack. With the adjustable Axis shelving, there are plenty of ways to optimize this space in order to store all of your firearms, documents, jewelry and valuables — and keep them safe from fire, theft, and whatever unknown threats might come your way.